Fixed and Periodic Residential Tenancy Agreements – What’s The Difference? 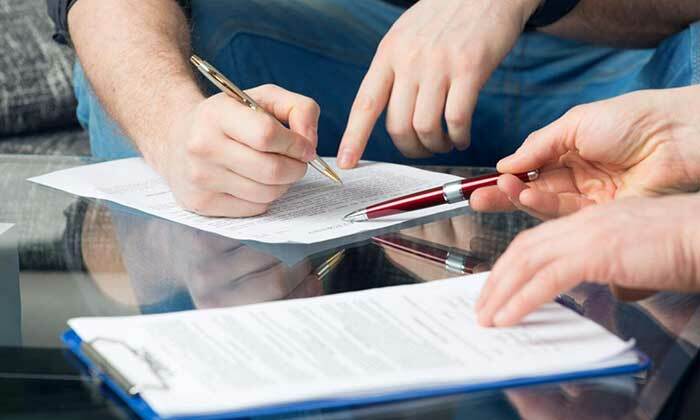 There are two types of tenancy agreements. A fixed tenancy agreement has a term for a specified period of time (e.g. 6 months or 1 year etc.) and will include an end date. A fixed term can be used at either the start of tenancy or at the time when the parties are renewing the agreement once the first term has ended. Whereas, a periodic tenancy agreement does not have a defined term. A fixed tenancy will automatically become a periodic tenancy, if a tenant remains in the property and no new agreement is entered into. In such circumstances, the terms detailed in the original fixed tenancy agreement will still apply to both parties. You can enter into a period tenancy agreement from the beginning, however this is not common. The minimum notice periods to terminate a lease will differ depending on the type of agreement. Under a fixed tenancy agreement, the landlord or agent must give at least 30 days’ notice if they wish to terminate the agreement. Please note that they cannot end the agreement before the last day of the fixed term unless they have reasonable grounds (e.g. breach of the agreement). A tenant may terminate the agreement at the end of term by giving 14 days’ notice to the landlord or agent. Under a periodic tenancy agreement, the landlord or agent is required to provide the tenant with 90 days’ notice that they wish to terminate the agreement. A tenant is only required to provide 21 days’ notice that they wish to terminate the lease to the landlord or agent. Either party may terminate their tenancy agreement if they have reasonable grounds (e.g. if the premises becomes unusable, the tenant fails to pay rent etc.). If you require any further information on tenancy agreement, please contact our team of lawyers at The Quinn Group on (02) 9223 9166 or submit an online enquiry form today.